A Lady Reveals Nothing: "Oh Yeah?" 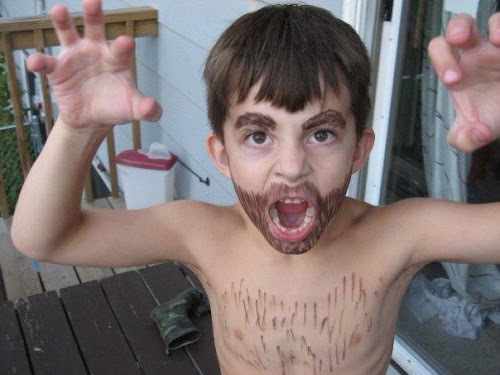 I hope that wasn't permanent marker you used on him! It was eye liner pencil I put it on him more than once too. He loved playing having a mustache.